Nordic Council of Ministers for Fisheries and aquaculture, agriculture, food and forestry (MR-FJLS) lifted during the summer of 2017 digitalization as an important area for development of the sectors. 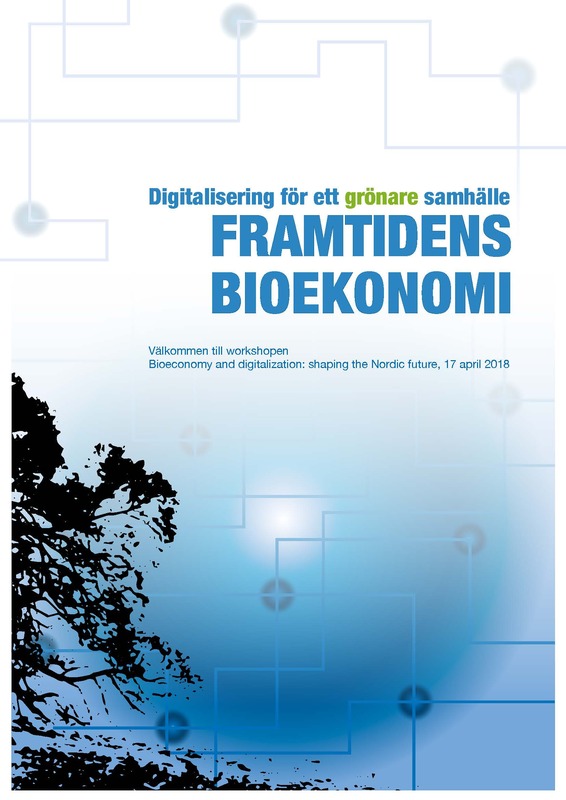 Nordic Forest Research (SNS) and The Nordic Joint Committee for Agricultural and Food Research (NKJ) was required to prepare the basis for discussions on the theme “Digitalization in the Nordic bioeconomics” for the Committee of Senior Officials for Agriculture and Forestry (ÄK-FJLS). The mission aimes to identify aspects of digitalization with strategic relevance to a competitive Nordic bio-economy. Nordic benefit is in focus. 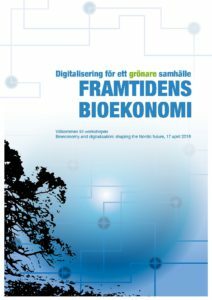 Based on common Nordic conditions, opportunities and challenges politically relevant areas of digitalization and its role in the development of the bioeconomy are going to be identified. Read the document we prepared here! or read the policy brief here! The document was used in the minister meeting in June 2018. SNS and NKJ have also submitted an application to MR DIGITAL. We’ll keep you informed about that!